Intriguing terms, but what do they mean in reality? 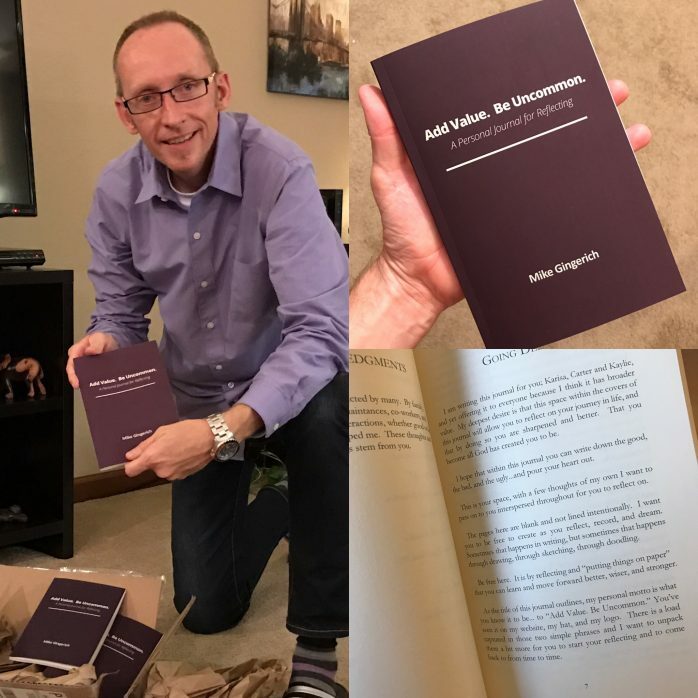 It’s that very question that I wanted to flush out in more practical detail which prompted me to write a personal reflection journal with guided insights that define and expand on what it means to live a life that adds value and is uncommon. Written as a gift to my children, this journal lays out wisdom for life with key topics and then open reflection pages for journaling. Think of it as a guided journal. 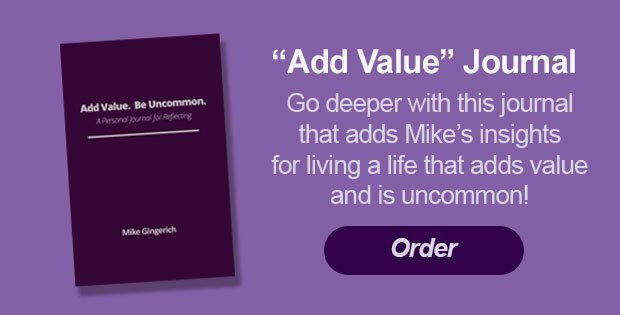 Each chapter in the journal offers a thought to help encourage you to live a life that adds value and is uncommon. This theme of “Adding Value” and “Being Uncommon” flows with the mission of iGive Global where we want to add value and we do this in less common ways by reaching out to those globally who are in tough places and have less resources but great potential. They need someone to give them a “lift” and to add value to them. The journal has value for anyone seeking to live a life of value and who wants to live beyond mediocrity by taking time to journal and reflect on their life. Putting your thoughts down in written form, via sketches, or even drawings is a key way to help you integrate and process your thoughts and experiences. Be inspired, be encouraged, and capture your thoughts and reflections to help you grasp what is truly important in life and how you can best focus your daily efforts and attitude. 60% of the proceeds from each “Add Value. Be Uncommon.” journal purchase will go to iGive Global, which seeks to empower those with great potential but limited resources around the world in places of great need. If you want to sharpen your life and have some guided thoughts to reflect on, this journal is for you. This is one way I add value. I’m wanting to multiply the impact and help others add value. Learn more or buy your copy at the button below.